At our presentation and discussion, we put forward a case for implementing Article 25 of the Universal Declaration of Human Rights – for adequate food, housing, healthcare and social security for all – as a fundamental international law in order to pave the way for a truly Universal Basic Income across the world, thereby addressing systemic injustices and profound human suffering. 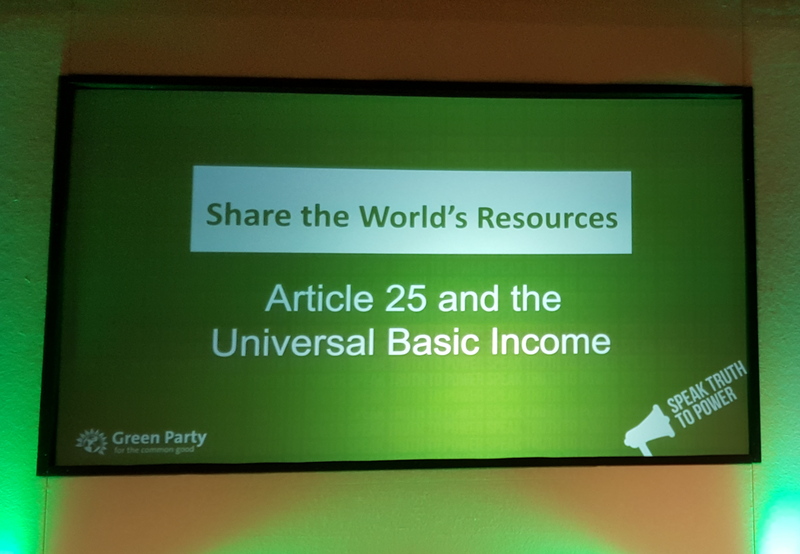 The presentation was conducted by Victoria Gater and Sonja Scherndl, who together argued that only the massed goodwill of ordinary people calling for Article 25 can bring about an end to poverty in a world of plenty through enormous, peaceful and continuous worldwide protests. Our talk was well received overall, leading to a lively question and answer session among more than 60 participants, which can be viewed below.